iPhone Analzyer allows you to forensically examine or recover date from in iOS device. It principally works by importing backups produced by iTunes or third party software, and providing you with a rich interface to explore, analyse and recover data in human readable formats. Because it works from the backup files everything is forensically safe, and no changes are made to the original data. 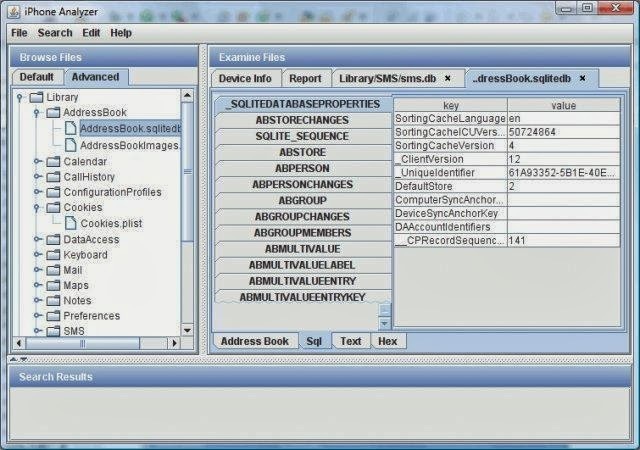 Browse the device file structure, navigate directly to key files or explore the device using concepts such as "who", "when", "what" and "where".